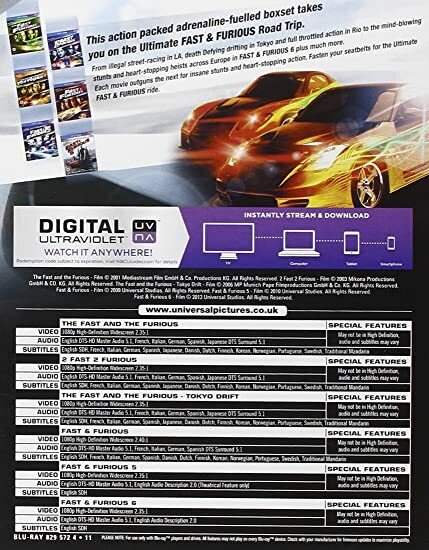 Import Blu-ray/Region All box set. 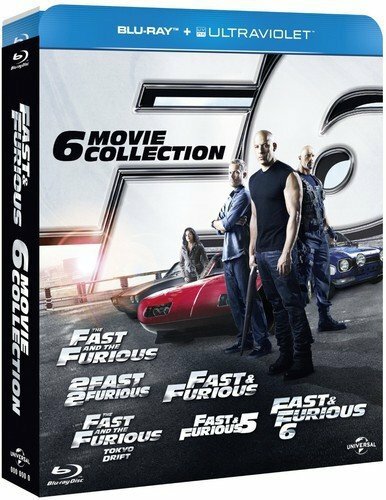 The complete box set, featuring all six films. 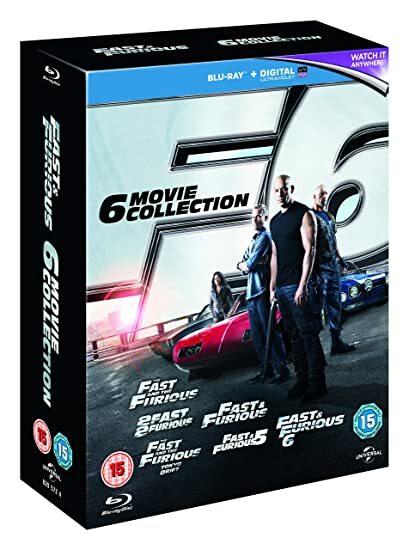 Contains the Fast and the Furious; 2 Fast 2 Furious; the Fast and the Furious - Tokyo Drift; Fast & Furious; Fast & Furious 5; Fast & Furious 6.